Commissioning and Handover | Services | Platforma K d.o.o. To finish the object and hand it over to the client is the aim of every project, but at the same time it is the most critical phase of the project. To achieve 90% of completion of the project is relatively easy, but if some elements during the construction have been left out or deliberately unattended, it is impossible to complete the project. Commissioning of various systems is revealing all the problems which are usually the consequence of engineering mistakes, procurement of material and equipment or poor construction. Proper solutions to these problems are usually very expensive and are demanding extra time. That, in most cases, means exceeding the deadlines. In case that various Third party inspection bodies are involved in supervision, the handover can become much more complicated. 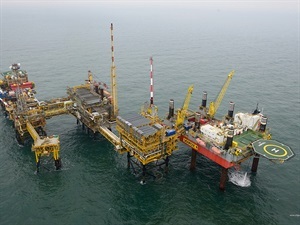 For example, for the construction and installation of one gas production platform that is installed on sea, all the project documentation, equipment, transport, installation and all the construction activities and testing must be certified. During the construction of the last three gas production platforms that are installed in Croatian part of The Adriatic Sea, we have coordinated almost every activity regarding certification with the companies like RINA (Industry & PED), HRB (CRS), Ex-Agency and Global Maritime. In parallel, we were performing supervision, inspection and testing as well as necessary corrective activities to achieve handover in the given deadline.